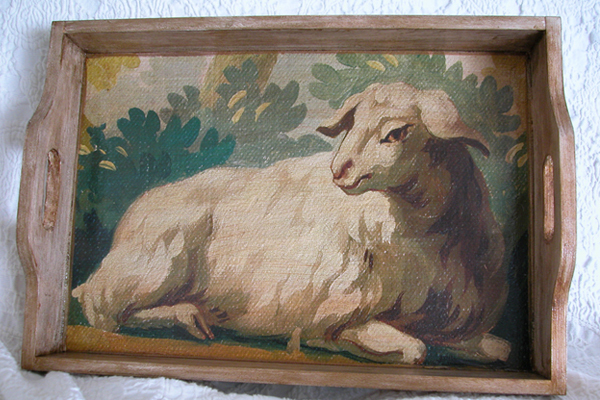 Inspired from an antique French Tapestry, this sturdy wooden tray measures 14 by 20 inches and has cut out handles for easy carrying. The tray is made to order, signed on the back and features my signature crackle design. Please allow up to one week for this tray to ship.